In December 2017, Manchester University teamed up with British sportswear brand Inov-8 to become the world's first company to incorporate graphene into running and fitness shoes. 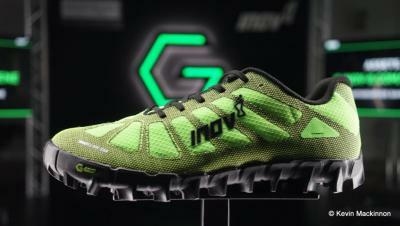 Now, Inov-8 announced a new shoe that features graphene, which are hoped to be "a game changer in the industry". The Ultimate goal will be to reduce the weight of running shoes by 50%, according to Michael Price, Inov-8’s product and marketing director. The company announced The G-Series range which includes three different shoes – two trail-oriented shoes and one geared for cross-training. The Company estimates that the TerraUltra G 260 will likely be the most popular in Canada – it’s geared for more strenuous trail efforts. The Mudclaw G 260 is geared for extra muddy terrain and obstacle courses. Finally the F-Lite G 290 has been developed for cross-fit athletes to wear in the gym. Each shoe includes graphene-enhanced rubber outsoles and breathable mesh uppers that are enforced with Kevlar. In November 2017, Graphene Flagship partners Istituto Italiano di Tecnologia, Italy, in collaboration with FADEL, a leading Italian shoe company, developed graphene-enhanced shoes. The new GET technology, patented by FADEL, reportedly gives the footwear better thermoregulation and freshness. Graphene-enhanced cycling shoes by Catlike hit the market soon!